2. Once it is downloaded we can move ahead and copy it to linux machine.If you are on windows machine you can use file transfer tools Filezilla or WinSCP to copy the software from windows machine to linux machine. 3. 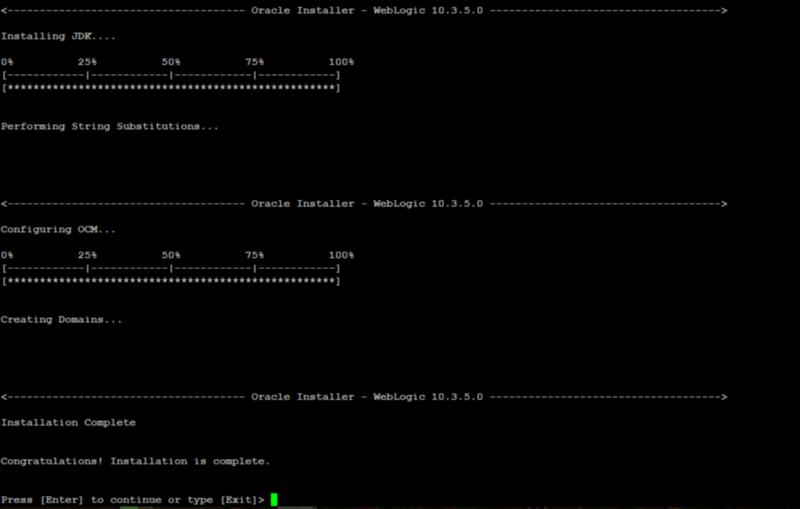 Create a dedicated user to run weblogic server its not completely necessary but its a good practice to run the appication with user other than root user. 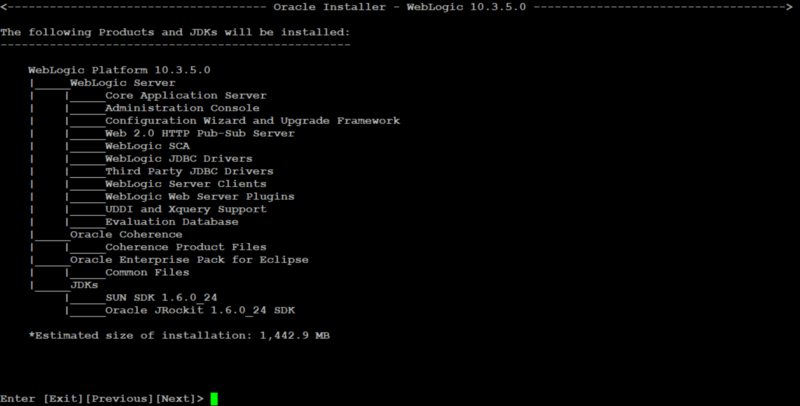 The installer will guide you through the installation of WebLogic Platform 10.3.0.0. Type “Next” or enter to proceed to the next prompt. If you want to change data entered previously, type “Previous”. You may quit the installer at any time by typing “Exit”. 6. Enter Middleware Home Directory by opting 1 and then typing in your new home directory or you can go by suggested middleware home directory by opting option 2. It will ask for the confirmation select “Yes”. 8. Select the installation type i.e default installation by typing in “Next”(Select default) or select custom installation by typing 2. 9. It will now ask you for product installation directories. You can change them by entering the number or type “Next” if you are ok with the dirctory path provided. 10. 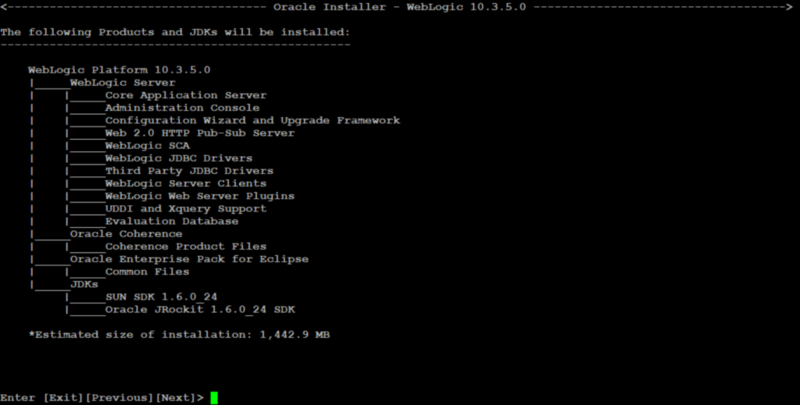 At this point installer will show you the products its going to install , Hit “Next”. There you go now you know how to install weblogic in command line mode, cheers!